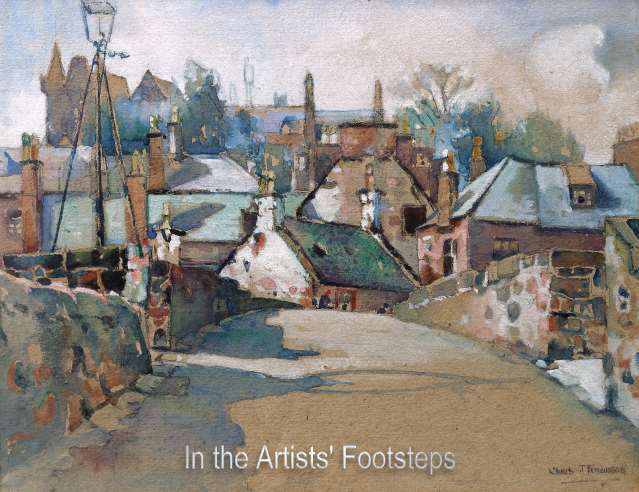 Deborgilla’s Bridge in Dumfries was a favourite subject for artists, the ancient bridge being framed by the fascinating shapes of the old buildings leading up to the convent on the top of the hill. 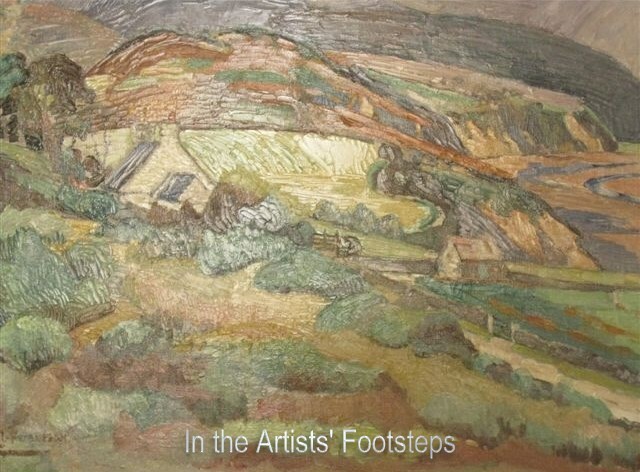 This work can be compared with Christian Fergusson’s treatment of the same subject in oil. 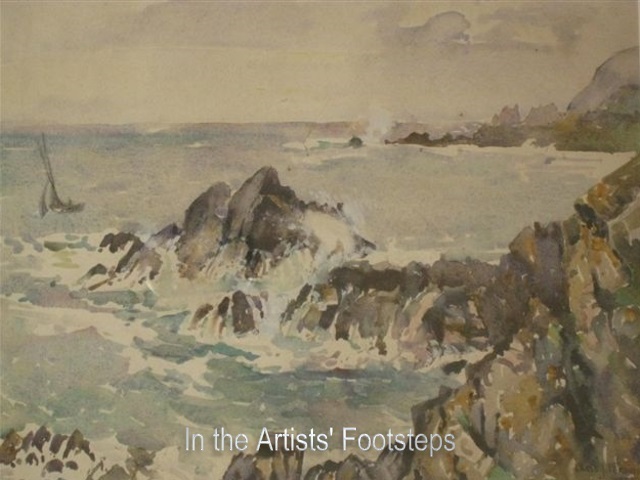 Painting of Portyerrock, near Isle of Whithorn. 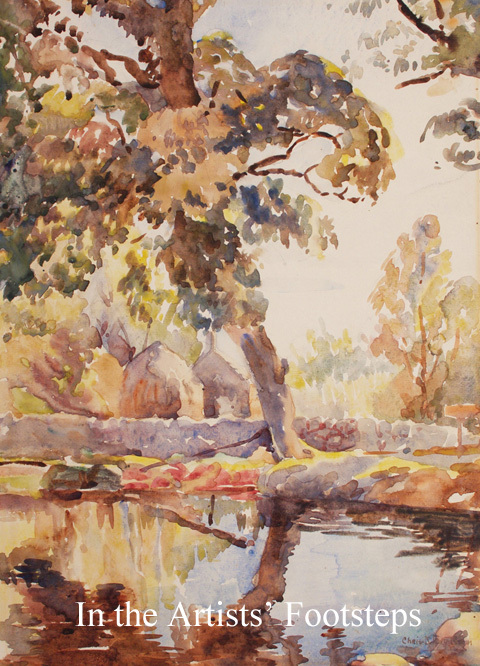 This farmyard scene, entitled "Spring Sunshine" was exhibited at and illustrated in the Dumfries and Galloway Fine Art Society Catalogue for its exhibition in 1926. This image was used to illustrate a piece about the artist in the "Scottish Field" in October, 1934. 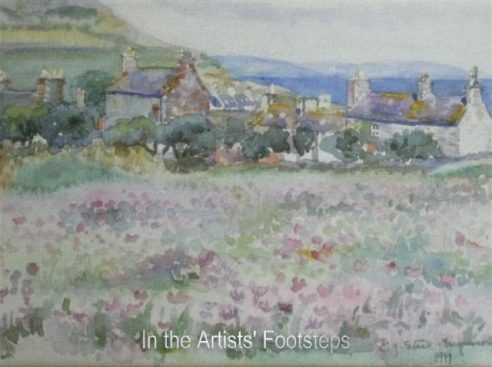 Chris Fergusson painted these sweet peas at Southdean, her home in Rotchell Road, Dumfries. The Magazine on the table is The Studio of August 1927. 1905-1906 lodged with her aunt, Lizzie Stark in St Mary’s Street, Kirkcudbright. 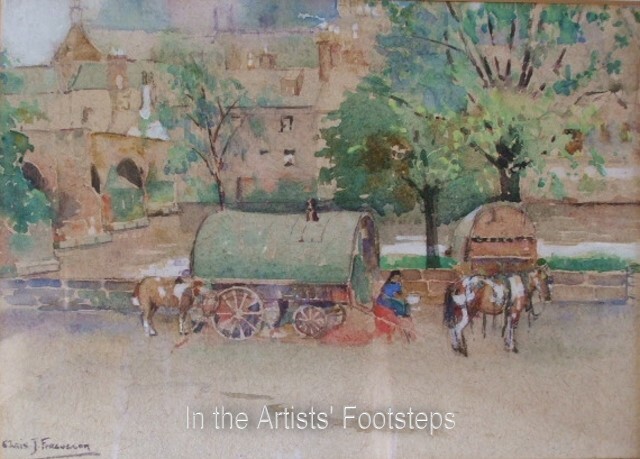 Following marriage in 1908 settled at “Southdean”, Rotchell Road, Maxwelltown, Dumfries. 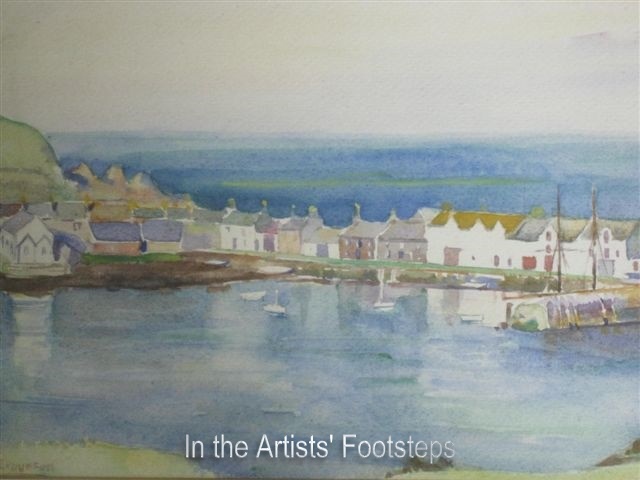 She often holidayed at Portling, Colvend or at the Isle of Whithorn. Photo by T & R Annan & Sons Ltd, Glasgow, possibly by J Craig Annan, c 1903. Crystal Palace School of Art, London; Glasgow School of Art. Royal Academy; Royal Scottish Academy; Royal Scottish Society of Painters in Water Colours; Royal Glasgow Institute of Fine Arts; 1952 116 works exhibited in Dumfries; 1957 retrospective. E A Hornel, Jessie M King, E A Taylor, Charles Oppenheimer and R D Cairns with whom she founded the Dumfries and Galloway Fine Art Society. The Studio, Volume 87, No 373, 1924, p219. 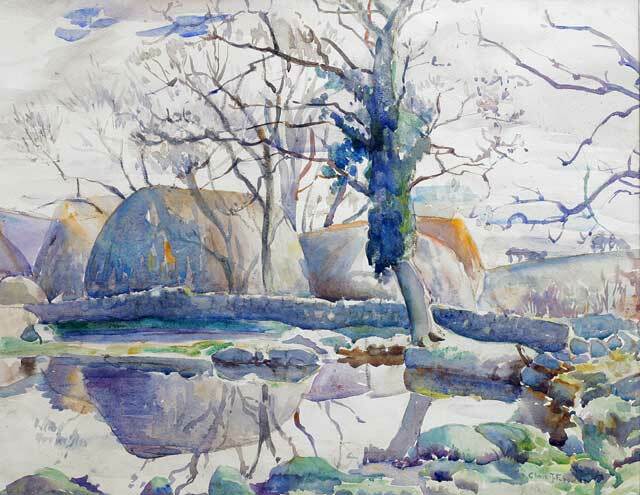 Christian J Fergusson(1876 – 1957) a Dumfries and Galloway Artist, Gracefield Arts Centre, 2001. 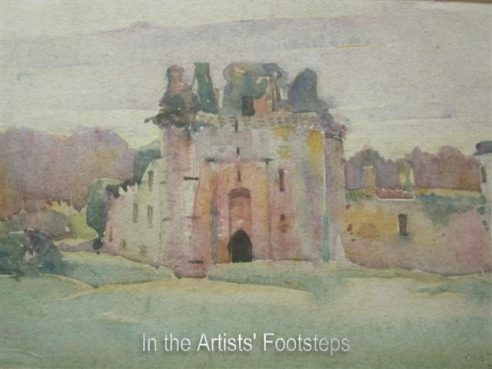 Chris Fergusson Retrospective Exhibition The Old Town Mill, Dumfries, 1986 and Broughton House, Kirkcudbright including the “Clints of Dromore”, and others (Stewartry Museum file). 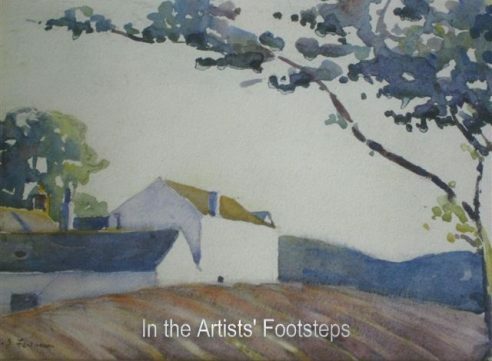 Retrospective Exhibition, 2001, The Harbour Gallery, Kirkcudbright, at Gracefield Art Centre, Dumfries, 2002 and at the Priory Museum, Whithorn, August, 2002. Her work has featured in many other exhibitions including the Homecoming, Kirkcudbright, 2000, the Home Again Exhibition, Kirkcudbright, 2009 and the Glasgow Girls Exhibition, 2010 in Kirkcudbright and later at Glasgow School of Art. Born in Dumfries. 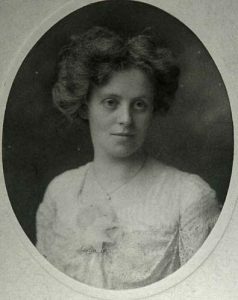 Taught at Kirkcudbright Academy (1905-1906) then Glasgow High School for Girls before returning to Dumfries in 1908. (A painting of Kirkcudbright Harbour dates from 1905). 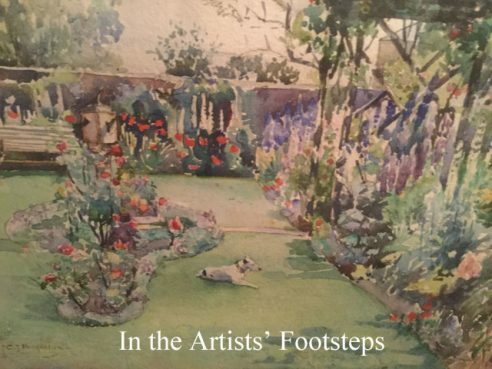 Her watercolours show a spontaneity of her own. 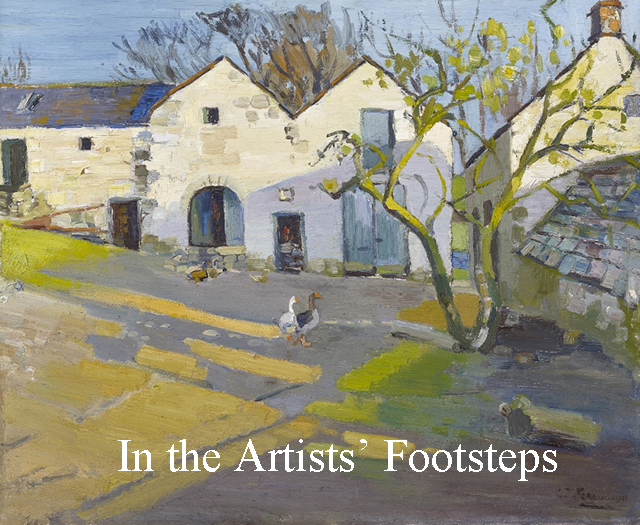 Her oils show greater evidence of the contemporary colourist movement. 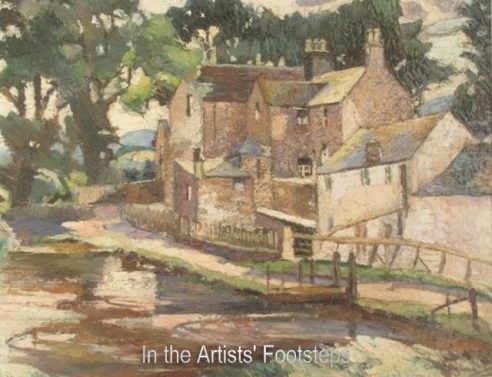 With Hornel, Jessie King, E A Taylor, Oppenheimer and others, formed the Dumfries and Galloway Fine Art Society. First exhibition 1922. 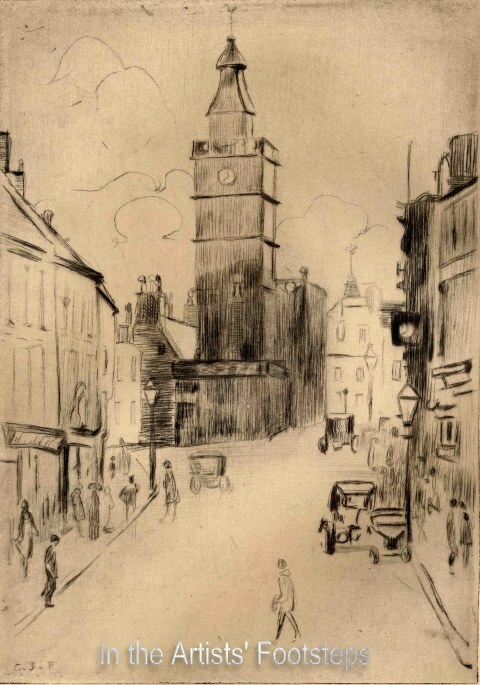 Winner of the Windsor and Newton Prize, Glasgow School of Art, session1901-2. 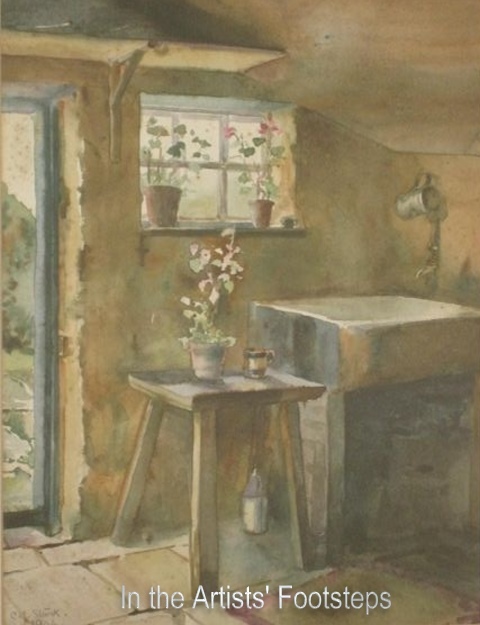 Lauder Award Winner Glasgow Society of Lady Artists, 1933, 1938 and 1954. Her Shawhead, Irongray illustrated in Bourne p76 (see bibliography). 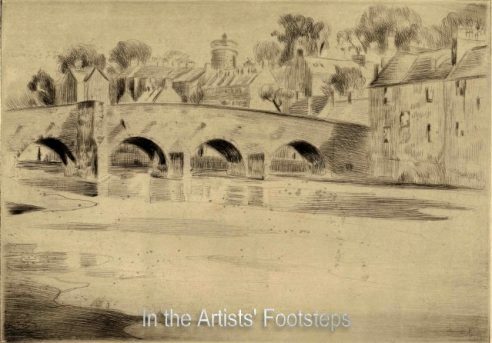 Illustration of The Bridge of Devorgilla accompanies short article by E A Taylor in The Studio (see bibliography). Chris Fergusson and Cecile Walton Memorial Exhibition, Gracefield Art Centre 1957 includes oils: February Sunshine, New Abbey; Creetown; Near Rockcliffe; On the Nith, Dumfries; Snow at Wanlockhead; Colvend Farm; Drumcork, upper Nithsdale; all by Chris Fergusson. Watercolours: Sweetheart Abbey; Cargen Bridge; Devorgilla Bridge; Torthorwald; Caerlaverock Farm; Mill near Southwick; Midsteeple, Dumfries. 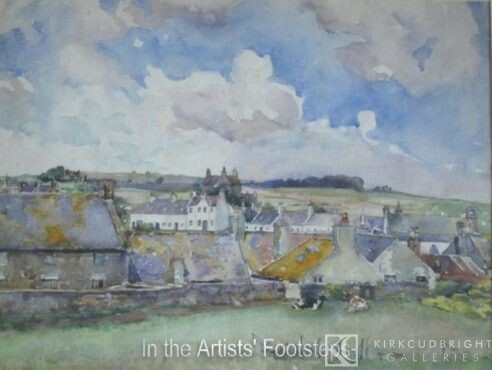 Chris Fergusson (1876- 1957) has a special place in the art of Dumfries and Galloway in the first half of the twentieth century. Born Christian Jane Stark in Dumfries, where her father was a solicitor she also had strong connections with the Isle of Whithorn, where her mother was born and with Kirkcudbright and Creetown, where she also had relatives. 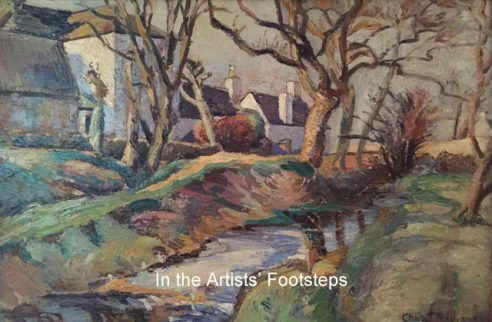 Unlike those artists whose work reflects a particular area of Dumfries and Galloway Chris J Fergusson drew inspiration from across the region. 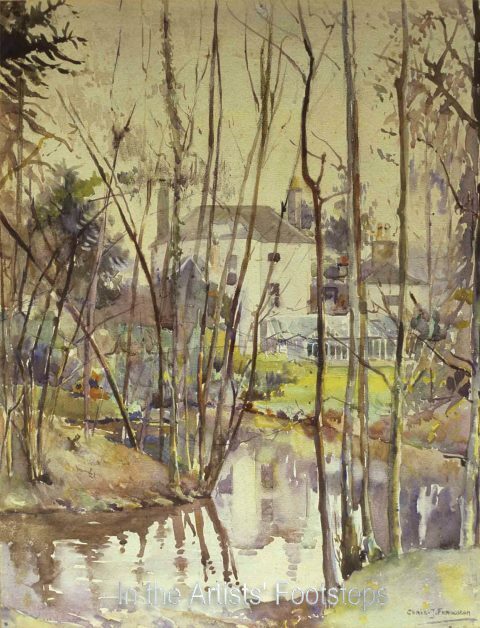 She attended Dumfries Academy and then studied at The Crystal Palace School of Art in London and from 1901 to 1904 at the Glasgow School of Art under Fra Newbery. 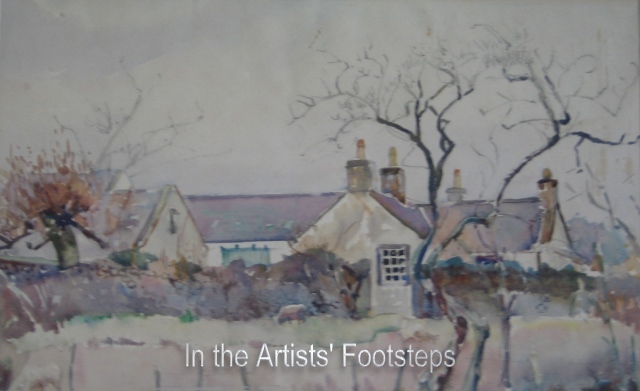 In 1905 and 1906 she taught art at Kirkcudbright Academy and thereafter was principal teacher of art at Glasgow High School for Girls until her marriage in 1908 to the Dumfries solicitor David Fergusson. 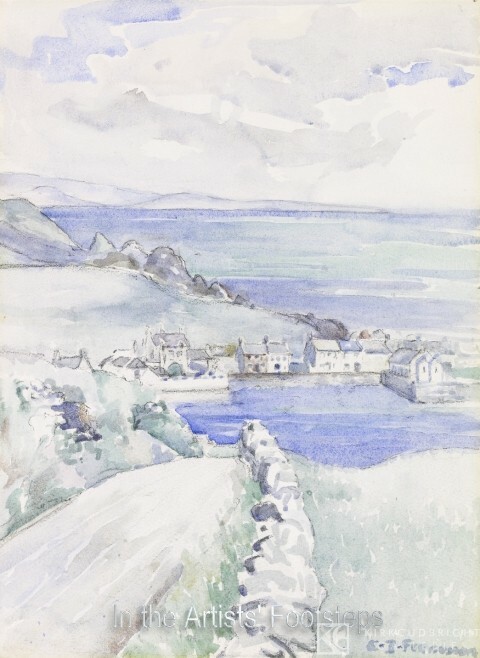 The Fergussons spent their honeymoon and a number of subsequent holidays in Brittany, including visits to Pont Aven, where she was influenced by the French artists working in the area. 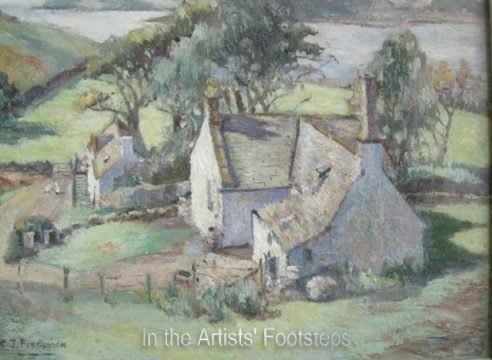 Chris Fergusson made frequent painting expeditions to Galloway with visits to Jessie King and E A Taylor at the Greengate, Kirkcudbright. It was with the Taylors, E A Hornel, Charles Oppenheimer and Robert Dickie Cairns, art master at Dumfries Academy that Chris Fergusson was involved in the establishment of the Dumfries and Galloway Fine Art Society. Her husband David was the first secretary of the society, which exists to this day. 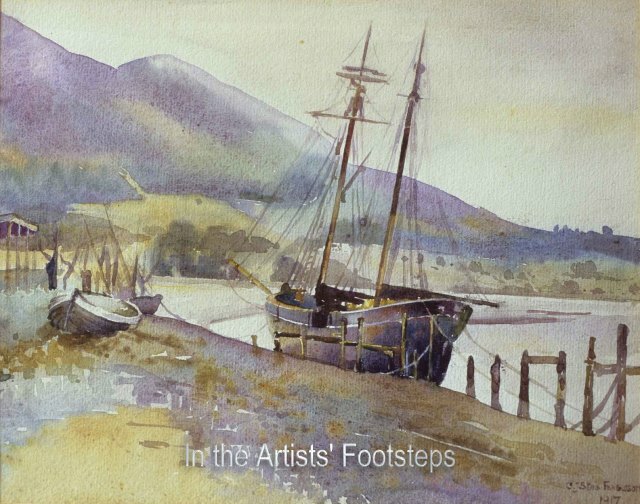 As with her paintings of Dumfries and Kirkcudbright Chris Fergusson captured the essence of the coast and countryside of Dumfries and Galloway and its changing weather in a free, direct and individual style. 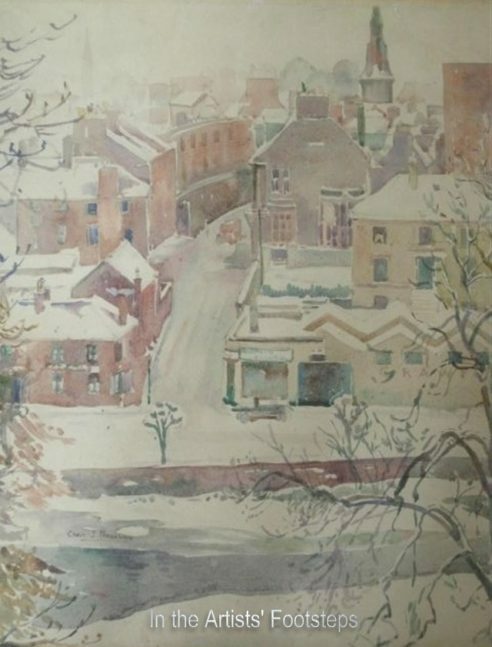 She also captured on canvas and in watercolour a number of the places described by Dorothy L Sayers in her 1931 novel The Five Red Herrings and we know that the well-known author visited the Fergussons at their home in Dumfries.